Join the Gideon Pond Elementary gardening committee and our popular speaker, Joel Karsten, the author of best selling "Straw Bale Gardens," on Monday, April 25 at 6:30 p.m. in the Gideon Pond Media Center (library). 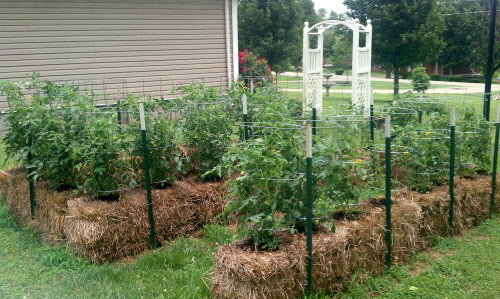 This is your opportunity to learn about this revolutionary gardening method. Faculty, students, families and neighbors are invited to come and become inspired. Volunteer to participate in growing vegetables and flowers in our first-year Giving Garden at Gideon Pond. Why did we choose to use this hottest new method of growing veggies? Questions? Contact Mara Schriver, mschriver@isd191.org or Karen Gray, kmgray@q.com. *The Gideon Pond Giving Garden is supported by the Statewide Health Improvement Program, Minnesota Department of Health and Dakota County Public Health Department. The garden, being created in partnership with District 191 and the BHS Giving Garden, will allow for students to learn about the growing process, various unique fruits and vegetables, and give the entire Pond Family something to be proud of in our community.